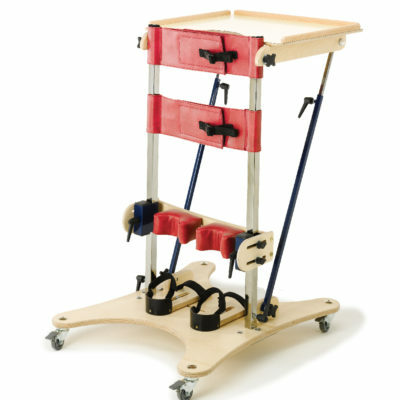 The Wentworth is our no fuss vertical stander designed for children from 18 months old to young adults who require low to moderate levels of support whilst weight bearing. Its design allows it to be used as a hip stander suitable for targeting therapy for the development of specific areas such as trunk and shoulder girdle stability and head control. to perform numerous activities without feeling isolated from friends. The Wentworth offers numerous height and width adjustments in the chest and pelvic band as well as additional angle adjustments in the knee supports and sandals.